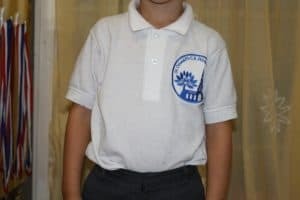 Our School Uniform is available to purchase from the school office. 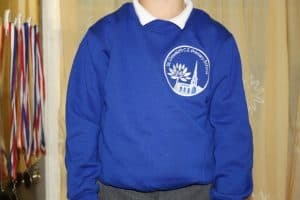 The Junior children can purchase school Tracksuit for all out door PE and Sporting events- The Tracksuit top is £16.00 (embroidered with the primary school logo) Jogging bottoms are £9.50. For outdoor PE we encourage children to wear their own trainers. For indoor PE we ask for every child to have a pair of black pumps in school.